WINSLOW — In less than seven minutes, voters from three communities unanimously approved a $1.8 million budget for Alternative Organizational Structure 92 during a public meeting Wednesday. The school budget total represents an increase of more than $19,000 from the previous budget, or 1.11 percent. Salaries and benefits comprise almost $1.6 million of the proposed budget. The rest will go toward overhead expenses, including building rentals, utilities, copier leases and a yearly audit. • Vassalboro residents will pay $332,000 — an increase of $3,200. 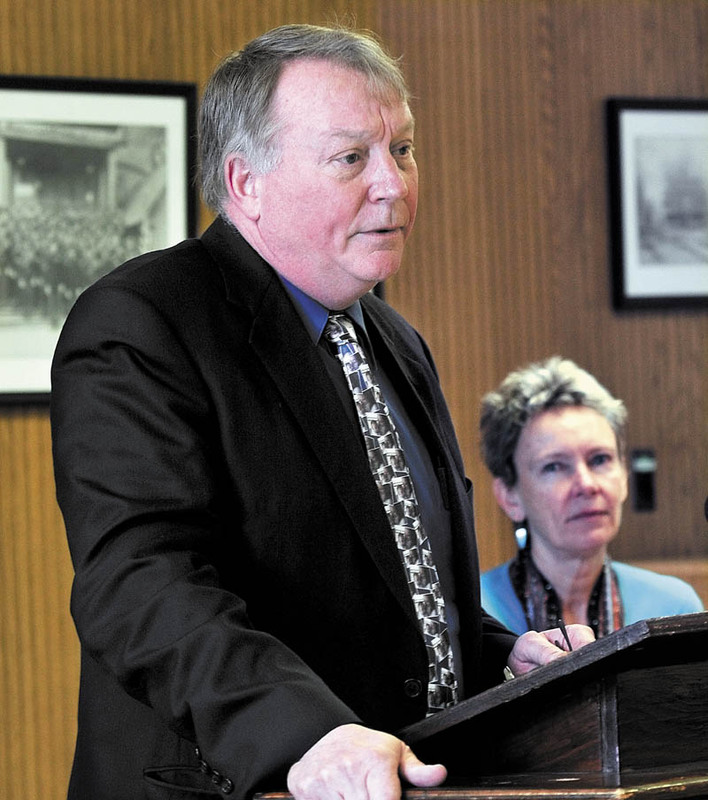 • Waterville residents will pay $863,000 — an increase of $6,200. • Winslow residents will pay $596,000 — an increase of $10,000. About 100 voters turned out for the town meeting-style event, which was held in the Winslow Junior High School auditorium. The meeting lasted slightly more than an hour, with most of the time devoted to a presentation by Superintendent Eric Haley and a question-and-answer session. During the presentation, Haley said the total budget has increased 2.35 percent over the past five years, and salaries have grown by 3.55 percent during the same period. “I am proud to bring you a fiscally responsible budget every year,” he said. Next, moderator Richard Thompson briskly led voters through the 12-article warrant, with residents unanimously approving each item without amendments or discussion. The atmosphere Wednesday was vastly different from last year’s contentious meeting. That budget, which ultimately was approved, called for an increase of $104,906 — or 6.29 percent — and several voters argued for flat funding through lively, lengthy discussions. After Wednesday’s meeting, Haley said this year’s budget was not aimed at greater voter acceptance; rather, each budget reflects the district’s needs during that time period. Haley believes that after five years of running a consolidated district, the board has earned voters’ trust. Thompson said brief, unanimous meetings are rare, but not unheard of.